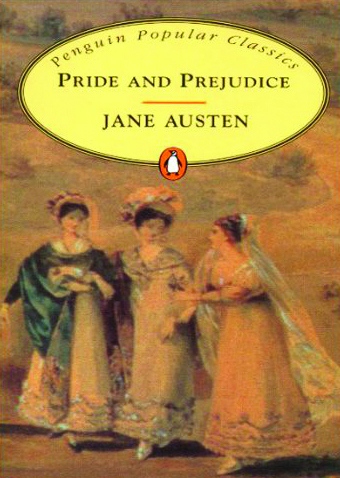 The first book I truly loved was Jane Austen’s Pride and Prejudice. I read this in an abridged version in primary school when I was nine or ten years old, and have read the full version many, many times since. It’s no longer my favourite, but it was my first love. As a child who was lucky enough to be read to (just one of the many gifts my mother gave me), and who could and did read avidly from an early age, by the time I got to Pride and Predjudice, I had read reams of books by the likes of Enid Blyton, Mary Norton and Jayne Fisher and I can still remember old favourites like The Famous Five, The Borrowers and The Magic Faraway Tree. Pride and Prejudice, however, is the one that stands out for me as an enduring favourite throughout my life, and if I had nothing new to read, I’d still be happy to return to it today. Initially I loved the characters, especially Elizabeth, and the storyline leading to her happy ending. As I grew older, I came to appreciate Austen’s value as a social commentator (whether intentional or not), and to enjoy the complexities of the novel, such as the juxtaposition of Elizabeth’s happy ending with the lot of Lydia, the ‘fallen woman’. I’ve read and enjoyed all of Austen’s other novels, but none of them inspired anything even close to my relationship with Pride and Prejudice. I’ve moved on, of course. I only discovered The Lord of the Rings in adulthood, and if I was really forced to pick a favourite novel of all time (which would be akin to asking a parent to select a favourite child, as any reader knows), I think Tolkien would now top that list. But, in the words of Cat Stevens, “The first cut is the deepest”, and for me, Pride and Prejudice made that first cut. What books inspired your love of reading?